Zdravstvuyte (Welcome)! Looking for the perfect Russian voice? You'll find some of the best Russian voice over artists right here at Voice Crafters. All our talents are native speakers, adept in voice acting and highly versatile. So if you need native Russian narration for a radio or TV commercial, an explainer or promotional video or an E-learning module, you'll find the perfect voice talent to record it for you right here! We take pride in a our personal customer experience. Typically we'll deliver voice recordings of the highest audio quality within 24-48 hours. We also provide translation, subtitling and additional audio post-production services like SFX, mixing & mastering and more! Have a look at our talents' profiles and rich resumes below. You can listen to voice samples and download them to your computer. And of course, If you have any questions or need help finding a voice actor for your project, just send us a quick message and we'll help you right away! 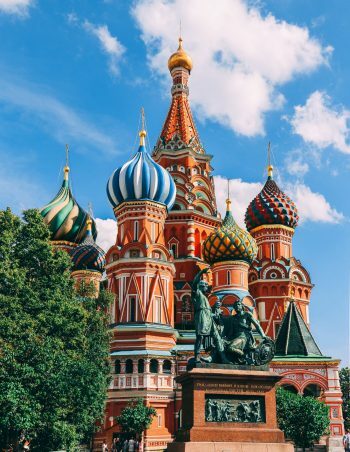 The Russian language, which is native to Russia and surrounding post-Soviet states, is spoken as a primary or secondary language by as many as 270 million people. A part of the Slavic and Indo-European language branch, Russian is the official language of Russia. Russian is also the official language of Kazakhstan, Belarus, Tajikistan, and Kyrgyzstan. Moldova, Gagauzia, South Ossetia, Abkhazia and Transnitria. Organizations such as the World Health Organization, the United Nations, and the United Nations Educational, Scientific, and Cultural Organization all use the Russian language as a mainstay in their programs. Russian is a recognized minority language in Romania, the Ukraine, Finland, Poland, Turkmenistan, and a number of Autonomous regions in Europe. In the United States, there is a significant population of Russian speakers in the state of New York, especially in downtown suburbs of New York City. The use and education of the Russian language is covered by the Russian Language Institute, which is located at the Russian Academy of Sciences. Our voice actors are native Russian speakers and are ready to deliver pristine-quality voice recordings for your next project. Contact us today for a free quote and receive your audio within 24-48 hours! Every month we provide voice overs for 888 Poker in Russian, British English, German and Brazilian Portuguese. Here’s an example of a hard-sell voice over for 888’s monthly campaigns. Professional Russian voice over for Compass EOS icPhotonics’ corporate video. This VO was recorded by Artem S.